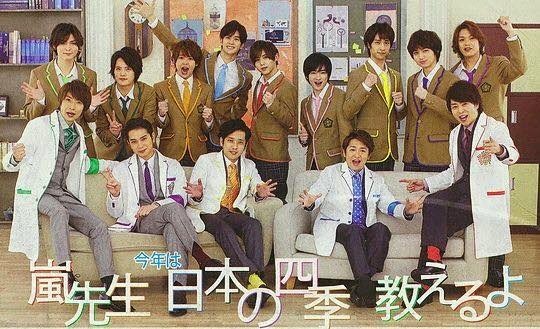 [NEWS] ARASHI TALKS ABOUT THEIR UPCOMING WAKU WAKU / ARASHI NOS HABLA ACERCA DEL PRÓXIMO WAKU WAKKU ~ . 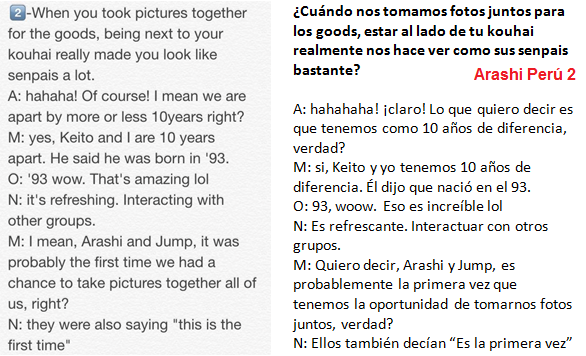 Vía Twitter and Facebook this information has been shared and it is about ARASHI´s view about their upcoming Waku Waku where for the first time they will work with another Johnny´s group. 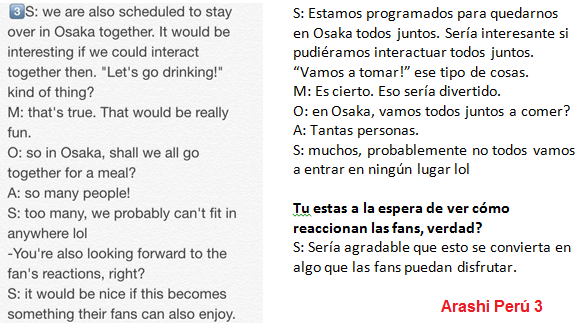 The original images and translation in English to the respective owner. 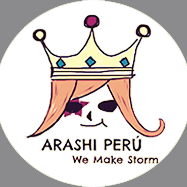 The translation in Spanish is done by Arashi Perú. Vía Twitter y Facebook esta información ha estado siendo compartida y circulando y es acerca del próximo Waku Waku que ARASHI tendrá y que por primera vez trabajaran al lado de otro grupo Johnny. Las fotos y traducción al inglés crédito a su respectivo dueño. La traducción en español es por Arashi Perú.